Although you may not be able to tell because of the weather lately, summer is quickly approaching. Pretty soon most Ventura County kids will be out of school for the next few months. For those families looking for activities to do during the summer months, you will not be disappointed with what June has to offer. Below is just a small sample of some of the things that are happening in June. As there was so much to write about this month, we did not even include the events that happen on a monthly a basis. If you are looking for some physical activity, the Tower 2 Tower 2016 race will take place on Saturday, June 4th. The race features running up and down over 35 floors of the National Bank Tower and Morgan Stanley Tower in Oxnard and an optional obstacle course. After the race, there will be a public safety day featuring demonstrations form the Fire and Police Departments, along with music, food, and booths from various sponsors. Be sure to bring the whole family and take part in this unique and fun event. Below are details and schedule of the event. 1:00 – The Stair Cases Start to Shut Down After 750 People Climb. Studio Channel Islands will be holding its Arts Alive Festival on Saturday, June 4th from 11 AM to 7 PM. Studio Channel Islands is a nonprofit organization “dedicated to advancing the creative life of Old Town Camarillo and the communities within Ventura County.” The festival will feature over 8 acres of art from artists in Ventura County and throughout the nation. The festival will also have live music, food trucks, wine and beer gardens, and a kids’ corner. Both admission and parking are free for this event. 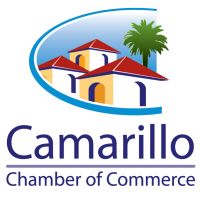 The Camarillo Arts Council (CAC) will be presenting two concerts and one movie in June. The council is run by volunteers and it strives to bring free concerts and movies to Constitution Park in Camarillo each summer. Donations are accepted to help the council continue to bring events to Ventura County residents in the future. Check out the list below to see the concert and movie schedule for June. If you plan on attending one of the events, please keep in mind the event etiquette. The 23rd Annual Casa Pacifica Food and Wine Festival comes to California State University Channel Islands on June 5th, from 1:00 PM to 5:00 PM. The festival first began at the Ventura Pierpont Inn in 1994 where it was held until 2000. The event then moved to the Mandalay Beach Resort in Oxnard from 2001 to 2006 until it moved to its current location where it has been held since 2007. Top Chefs from around Ventura County will be offering gourmet food to be paired with wine and craft beer from throughout the state. The event will also feature live music and a silent auction where you can bid on sports memorabilia, fashion items, entertainment, and travel. There will also be a kick-off dinner held on Friday June 3rd where a seven-course dinner will be served. General admission tickets are $125 and VIP tickets are $250. The Black American Political Association of California (BAPAC), Ventura County Chapter will be having its annual Juneteenth celebration on Saturday, June 18th. The celebration will be open from 10:00 am to 5:00 pm at Plaza Park in Downtown Oxnard. Big Mike Rob will be the Master of Ceremonies for the event. Entertainment includes food booths, free health screenings, a custom sports car exhibit, harmony art walk, the Oxnard High School Jazz Ensemble, the 10th Calvary Buffalo Soldiers, and a live performance by New Vibe. Admission to this event is completely free, so make sure that you and the whole family share in the fun. The Milestone Car Society of California will be having a Father’s Day car show at Channel Islands Harbor. The event will be held from 10:00 am to 3:00 pm on Sunday, June 19th and will feature custom cars, hot rods, and classic cars. Car classes that will be judged include best domestic, best foreign, and best old school. For those of you who are interested in entering a car into the show, you can find the registration form here. A portion of the proceeds from the show will go to the Ventura County Homeless Veterans Stand Down and Casa Pacifica. The eighth annual Roadshow Revival will take place on June 25th and 26th at Mission Park in Ventura. In 2009, Ross Emery produced the first Johnny Cash Music Festival in Ventura county with support from the Cash family and the community of Ventura. The following year, Johnny Cash’s daughter joined in on the production as well. In 2011, Emery changed the name of the festival to “Roadshow Revival – A Tribute to the Music of Johnny Cash” and it is now one of the biggest tribute festivals in California. There will also be hot rods, custom cars, motorcycles, food, drink, kid’s corral, vendor booths, Johnny Cash memorabilia and even a pin-up girl pageant. There are a wide variety of different tickets sold ranging from $5 to $320. More information about the different tickets can be found here.